Christina Aguilera starts her next season of TV show, ‘The Voice Season 3’ and also begin her new album. 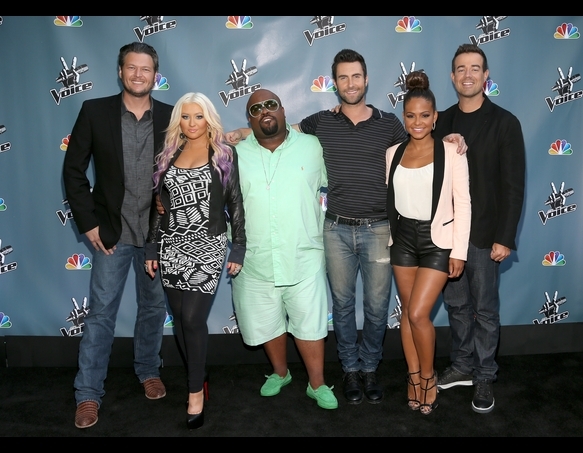 Today we have some photos of Christina Aguilera at the set of ‘The Voice Season 3’ along with her co-artists. The more interesting thing is that, the singer Christina will debut her new album’s song “Your Body” on that TV premier which will begin from next September. Watch out some cool photos of Christina Aguilera at The Voice: Season 3 set where she dressed with a new look and smiling all the times. She also took some different makeup and hairstyle for this show.